Everyone out there know exactly what Android 9 Pie looks like, but what’s still a mystery is how companies will customize their UI when they update their phones to Pie. Today we’re getting an early look at Samsung’s custom version of Android 9 Pie. 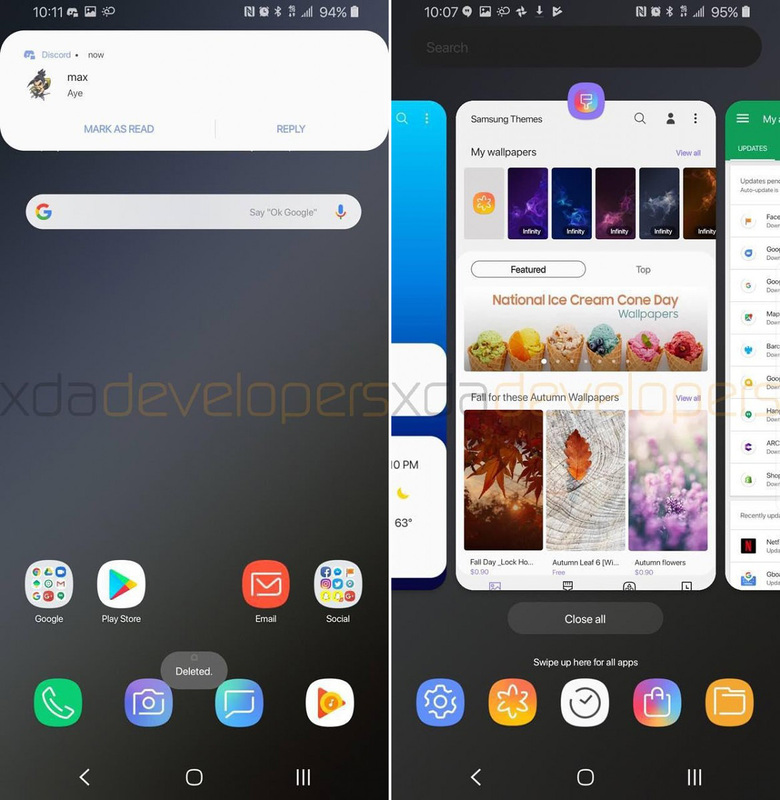 Several screenshots have made their way online, showing off an early build of Samsung Experience 10 with Android 9 Pie on the Galaxy S9+. As noted by XDA-Developers, the update brings a refreshed UI with a card-style look and rounded corners. You’ll find this updated look in apps like the Settings, Samsung Messages, Gallery, My Files, and Samsung Internet. Also of note is the addition of a night theme that you’ll be able to manually toggle, have it activate on a schedule, or have it turn on in the dark. Samsung has updated its lockscreen here, giving the clock an updated look and tweaking the shortcuts at the bottom of the screen to be a simple color of the app icon rather than the full icon. Quick Settings has been updated, too, along with the Recent Apps screen that now looks more like you’d expect from Android 9 Pie, complete with a horizontal app list and a dock at the bottom of the screen. The Settings app now includes the card-based UI that we told you about earlier. One particular addition to the Settings app that’s worth noting is a gesture control that’ll let you swipe up from the bottom of the screen to use Home, Back, and Recents actions. This feature can be enabled when the navigation bar is hidden. 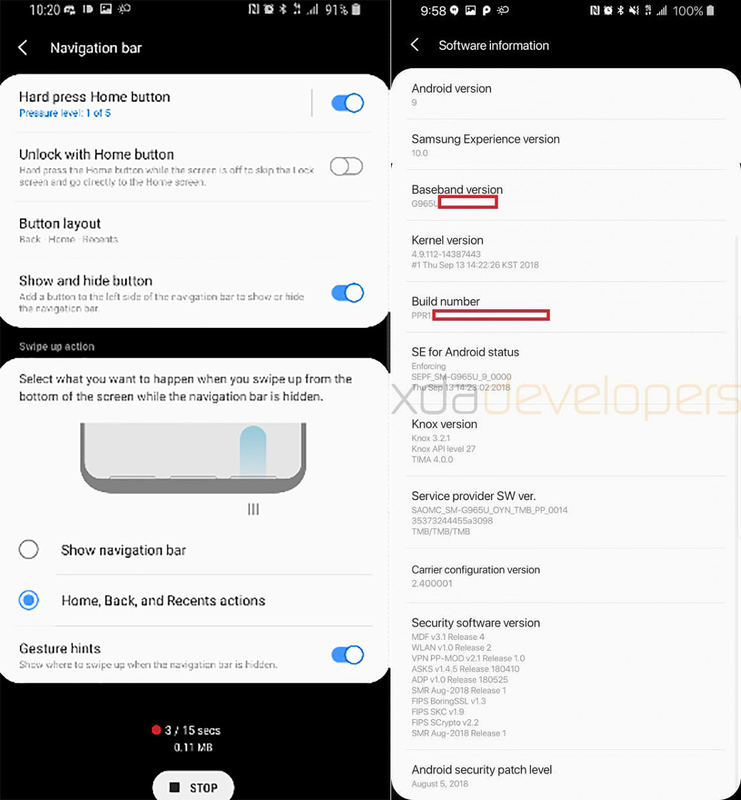 It’s worth remembering that this is an early build of Samsung’s Android 9 Pie update for the Galaxy S9, so we could see some changes and additions once the update actually rolls out to the public, whenever that’ll happen. Things do seem to be progressing, though, and so far the update doesn’t look too shabby.